Located on Nehru Road and yards away from the Chowrasta Mall, Hotel Shangri-La is a boutique hotel that offers great value for money in its category of 2-Star hotels. The two storied building with a triangular roof was constructed during the British days. However the interiors have been completely refurbished to provide modern amenities while retaining some of the old colonial charm. Shangri-La hotel has only four large rooms on the upper floor that can be accessed by a separate staircase. The reception and the lobby is in the ground floor. At the ground floor as you enter through the glass door with green wooden frames, you will reach the reception area with a cozy lobby on the left. There is a small reception counter at the right. You will often find Mr. Tamang, the manager of the hotel at the counter. The floor here is wood finished. There are wicker sofas laid out in the lobby. With wooden panels & furnishing, and special dimmed light effects, the entire reception area looks quite impressive. Shangri-La's Restaurant is located just behind the reception area. It serves Indian, Chinese and Tibetan dishes and has an extensive menu. 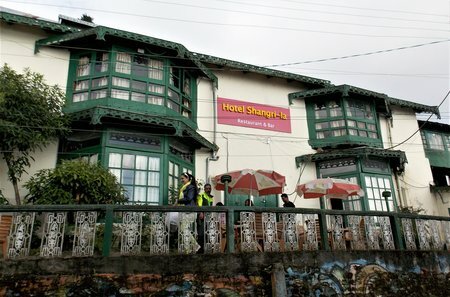 Shangri-La hotel is a family run business and owned by Ranjan Lama, a Tibetan who is now a Non Resident Indian but keeps visiting Darjeeling every three to four months. He is closely in touch with the hotel operations. He personally receives emails and helps the guests with the booking process even while he is in the UK. As I mentioned earlier, there are four large attic suit rooms in the hotel which have been recently renovated. Most of these rooms remain booked even during the low season. As you climb the staircase which is on the left of the entrance to the ground floor lobby and restaurant, there is a small counter upstairs which is mostly unmanned and above that is a small shelf with few books which you can borrow and read. 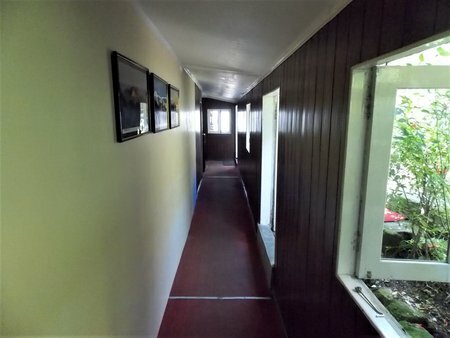 A corridor leads to the four rooms. All rooms have large bay windows with great views of the mountain range and Darjeeling town. If you come during the spring or the summer time, you can clearly see the snow peaks from your room. All the rooms have a separate seating area next to the window having caned sofa sets with cushions. This is an ideal place to have your tea as you watch the views outside. The rooms have king size beds, wonderful lighting arrangements, slanted wood paneled ceilings, wood finished floor and wooden furnishing that create a charming ambience. There are cupboards in the rooms that have safes where you can keep your valuables locked while you are away. Two of the rooms have open fireplace that work on coal. However there is extra charge for lighting the fireplace. The hotel can also arrange for additional heating if you so require during the winter. All the rooms are large enough to accommodate two more single extra beds. So if you come in a family of four, you can comfortably stay in one room. However there is additional charge applicable for extra beds. Bathrooms are of western style and well equipped with modern amenities. There are self operated geysers that you can use to get hot water. However, during power cuts the geysers don't work although the hotel has backup power supply to keep some of the lights and other essential electricals on. There is tea and coffee making facilities provided in the rooms. The hotel is wi-fi enabled which means you can have wireless internet access to your laptop from the room. There is no additional charge for wi-fi usage. They provide complimentary package drinking water and newspaper as well. The room tariff varies depending upon the season. They have high season, mid season and low season, and the rates vary substantially depending on your time of stay. The summer and the spring are the high season, while monsoon and the peak winter is the low season. However in all cases the tariff includes breakfast with a choice of vegetarian English or Indian dishes. Overall the service is excellent and friendly. The waiters understand and speak English, but you will need to talk to them slowly. You can order any item from the restaurant's menu card through room service and there is no additional charge. You pay at the same rate as in the restaurant. There is a bar downstairs and you can also get your drinks served in the room. They serve breakfast in the room from 8:30am to 10:30am. Bar and food services are provided between 11am to 9pm. While I haven't found any real negatives that the hotel needs to work on, there are one or two things to note though. Since the rooms are timber finished, there is not much of sound proofing. You may be able to hear sound from the adjacent rooms. This may be particularly annoying if your neighbors slam the doors or switch on the TV in the wee hours as they plan to go out to view sunrise. Also the nearby Mall area is full of street dogs that sometimes roam along the Nehru road and bark. That could be irritating too. Hotel Shangri-La is located on Nehru Road that leads to the Chowrasta Mall. In fact the hotel is only half a minute walk from the Mall and steps away from the Glenary's bakery and restaurant. If you are walking up towards the Mall along Nehru Road, it would be to your right after you have crossed Glenary's. 1) Visit Darjeeling Top 2 Star Hotels to know about the other great mid priced hotels. We reached Darjeeling on 10th June. We have already booked the hotel online. We were very excited by seeing the location of the hotel as it is very close to the mall. The staffs were very Co operative and addressed the small issues immediately. The view from our attic room was awesome. The food was very delicious and authentic. Special thanks to be given to Mr. Lama for his concern and initiative to help us. We have planned to stay there for 2 days but due to unrest we have to move to Sikkim. Thanks to all the staffs for the help they have extended to us. This hotel is situated just near the Mall. Very ideally located. 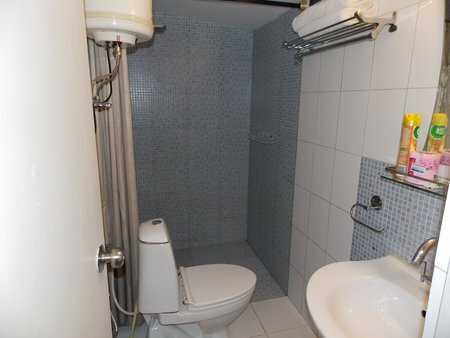 There are 3 spacious rooms with clean bathroom. Because there are only 3 rooms so the attendant Lomu looks after excellently. She is a sincere hard working lady who looks after the need till 5.30PM. One can see the snow capped peak of Kanchanjungha from the Room No 102 which has a fireplace. Electric heaters are also available. It is so near to Mall that we were in out of the hotel many times in a day. There is no steep climb to reach the hotel. The restaurant in the ground floor serves good food. My personal view is the Indian dish of this restaurant is better than that of Glenary's. Sonam Lama looked after us very well. He came all the way to the taxi stand to see us off. One last word, Ranjan Lama the owner who stays in UK is 24x7 connected, he does not sleep. He coordinated our booking. Let me thank the team of Sonam for making our stay a memorable one. If we return then this will be the place where we will stay again. 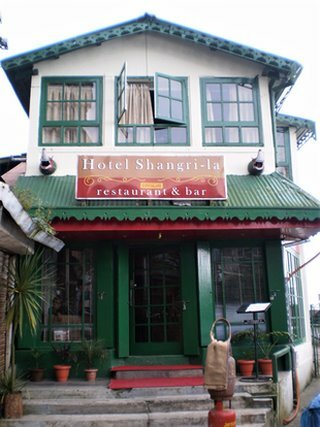 I Visited Darjeeling in January 2013 and our stay at Shangrila Hotel would always be memorable. Starting from the location of the Hotel which is near to the taxi stand with all the well known food joints at an arms length, the curio shops in front of the hotel, the Mall just a minute away and the best part no vehicles are allowed on this road, we could just walk in and out of the hotel several times for sightseeing, food and shopping.... The hotel rooms are adequately sized have wooden floors and very neatly laid out, though we didn't get the one with fire place, heaters were provided but we got a two side open view with glass windows where you can just sit down relax and sip a cup of "Darjeeling"....... Of all the places we had food, Shangrila was the best and I did like the Chinese and also the Indian preparations. I would say its a must have even if you are not staying at the Hotel...the cook is real good.... The bathroom was neat and clean fitted with essentials and hot water was always available. Anything good is always identified by the people who manage it and I must say the hotel is very well managed by Mr. Sonam Lama and every one in his team. Despite being an off peak season there was nothing to complain. The lady Lohmu who serves all the three rooms did take very good care of us and was helpful and punctual in serving food and taking care of the room....they have all made it a pleasant stay for all of us.